Street food is popular all over the world, be it a hot dog or a falafel, but nothing can beat the variety of street food we have in Saudi Arabia. A mixture of different cuisines and cultures make street food from the Kingdom stand out. No matter where we are, be it a flea market or a mall, we love to gorge onto street food whenever we get a chance. Leavened bread that is filled with the juiciest of meats is one of the most delicious way to indulge in Saudi street food. Yughmish is not harsh on your tummy, they rather serve a quick snack to have during the day. Filling and tasty at the same time, the piquant yughmish is one of those snacks that you just can’t say no to! This mouth-watering and popular dish is believed to be of Yemeni origin, but luckily for us has become one of the most popular appetizers in the Kingdom. This stuffed version of the pancake can be easily found throughout the country. Made from thin pastry layers wrapped and folded around a mixture of mincemeat, eggs, parsley, tomatoes, onions, and a bit of jalapeño pepper. Your first bite of the Mutabaq will burst into a plethora of a myriad of flavors in your mouth. The name itself can make ones mouth water. But when it comes to French fries, the ones sold by hawkers in their small carts is unmatchable. The deep fried delicacy is sprinkled with a blend of spices and topped with hot sauce or ketchup depending on preference. The alluring aroma that arises from one of these carts is just too tempting to resist. This layered flakey flatbread just melts away in your mouth. A staple dish amongst the South Indian expat population, it has now become popular amongst all other residents living in the Kingdom. When served with curry you’ll find yourself gorging on this scrumptious flatbread. 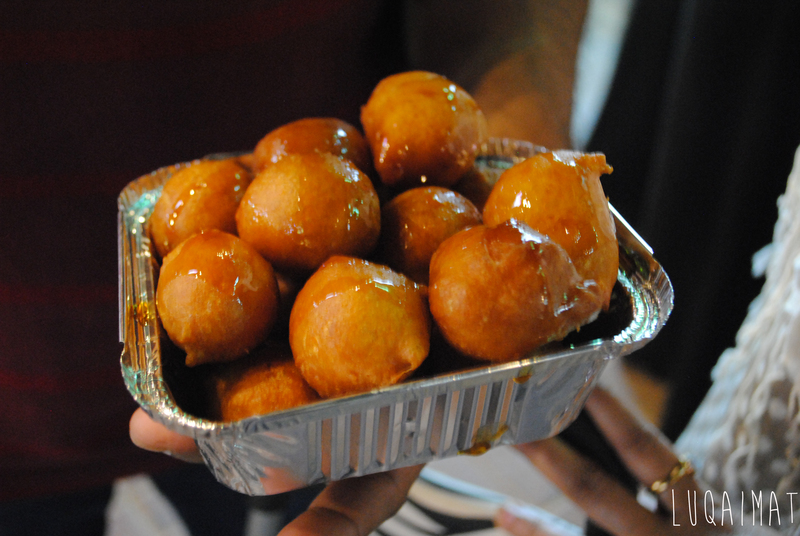 These doughnut-like dumplings are one of the tastiest sweet dish you’ll ever come across. Crunchy from the outside and soft from the inside, the sugary treat is what we instinctively turn to when we need a sugary fix. Luqaimat are a Ramadan favorite. The scrumptious frozen dessert is a favorite amongst the Indian Sub-continental community living in the Kingdom and can easily be found in neighborhoods where they form the majority. Kulfis are made from full cream milk that is thickened with khoa and garnished with chopped nuts. Although a bit heavier than regular ice creams, the rich and satisfying desert is a must try during the sultry summers. Although a bit rare to come across, this spongy version of the pancake is thanks to the large African Diaspora living in the Kingdom. 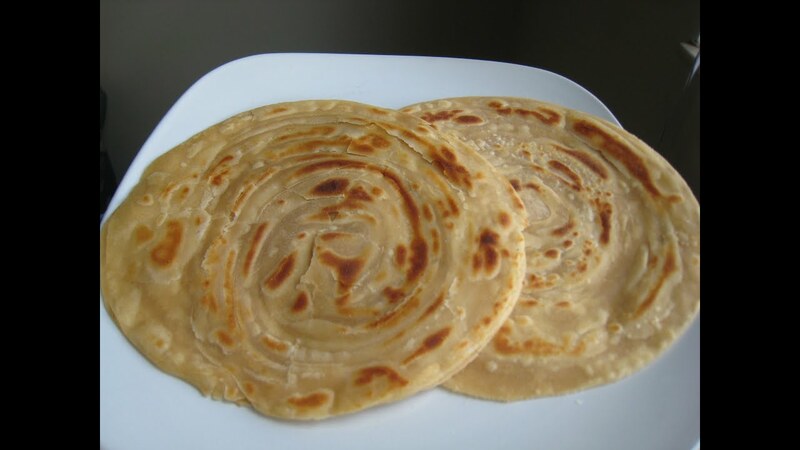 The gently cooked and mild flavored soft flatbread is commonly consumed with a honey or yoghurt based side dish. Light on the stomach and entirely satisfying, the saporous Lahoh is delicious without any side dish as well! A Ramadan favorite, this thirst quenching drink is exactly what we need after a day of fasting. The drink comes in many flavors and each flavor has a different color which makes the sobia stall look all the more colorful and appealing. This sweet drink is one of the things we miss about Ramadan. The aperitive falafel are the first thing that comes to our mind when we think of street food. These spicy, deep-fried delicacies are prepared using faca beans and/or ground chickpeas. They can be relished with a topping of pickled veggies, salads and hot sauce or as a stuffing for bread along with veggies and sauces of your choice. This street treat is easily one of the most devoured and preferred of all street foods in the country. The tiny tantalizing treasures are a form of dumplings that typically consist of a tangy meat mixture. Although originally central Asian, the mantu has been customized and adjusted to the Saudi palate with a combination of local herbs used in making the meat mixture. Samboosas come with scores of appetizing fillings from cheese and veggies to even minced meat. The fried or baked flavorsome samboosa over tea are a quintessential snack for guests who pay a quick evening visit to an Arabian household. One of the easiest snacks in this list to rustle up when in a hurry. Made up of boiled chickpeas mixed with garlic and a pinch of salt, this hot and spicy street food is what many consider comfort food across the country. It’s the crunch and softness from the chickpeas that account for a milieu of happy memories. This Arabian version of the pizza is undoubtedly one of the most popular dishes in the country. Though it is of Levantine origin it has integrated well into Saudi culture. Za’atar(thyme), labneh(strained yogurt) and minced lamb are toppings that you have to try. You can even combine them all in one! Originally made from leftovers, this Egyptian dish is quickly growing in popularity with restaurants dedicated to Kushari springing up all over town. Kushari is made from a combination of all things yum – macaroni, chickpeas, rice, lentil, tomato sauce and several other spices adding up to make an appetizing meal. So which one of these haven’t you tried before? Where in Jeddah we can find them?